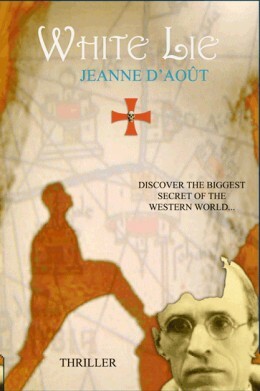 "Secret underground laboratories, they do exist," the mysterieus author Jeanne D'Août tells us. In one of them, a previously unemployed professor works on a secret invention for an unknown employer. William Fairfax succeeds in creating a stable wormhole through which people can go on a time travel. Two young ladies, Danielle Parker and Gabby Stanford, are sent back to the first century. Their mission is to unravel the secrets of a man named Oshu, a man who we know now as Jesus Christ. The incredible adventure results in the kidnapping of Danielle; she will only be free again if her friends find maybe the most intriguing historical artefact of the western world: the Ark of the Covenant. The story I am about to relate is one of the strangest reports of World War One. It is the story of how a whole regiment which was comprised of men from the Queen of England's Royal estate, just disappeared into thin air one day in front of witnesses. It is an event which has long since been presumed to have some supernatural or paranormal cause, and remains to this day, unexplained. The year was 1915. The Great War had already been raging for almost two years. 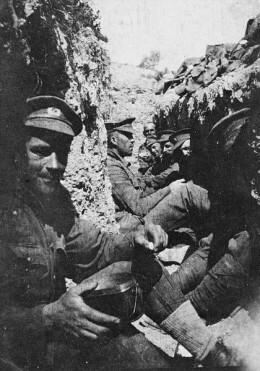 A coalition of British, Australian and New Zealand troops comprised the force that was landed at Gallipoli on the Dardanells in Turkey. Their mission to attack the Turks. Amongst the fighting coalition, were 250 men and 16 officers of the Royal Norfolk Regiment. The regiment comprised of servants, grooms and gardeners from the British Royal family estate, at Sandringham in Norfolk. 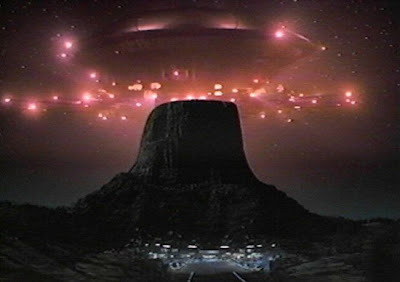 A retired officer of the British Army and Intelligence has stated that during World War two a joint British/American venture destroyed a possible Time Machine created by German scientists. It is a question carefully poised on every scientist’s lips and those of the world who have imagination. Just what would the implications be for mankind? 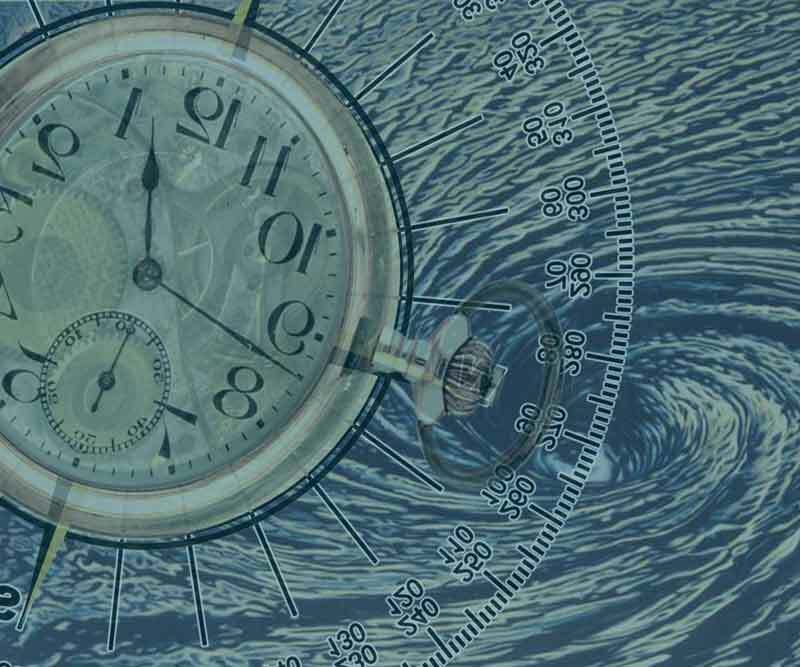 How would time travel alter the world we know today? One such question was on the lips of British and American Intelligence during World War 2. According to one retired officer connected with Secret Intelligence Organisations during the second world war believes the Germans were “on to something quite disturbing”. The gentleman, who is now in his late 80s, says that he was part of a special force who were instructed by Churchill and the US government during World War 2 to “seek out and disable” a possible time machine created by German scientists. The story has come to light after the former intelligence officer divulged information to his daughter. She also wishes to remain anonymous through fear of possible repercussions and ridicule. We all know about dragons and have grown up with them in story books and movies but were they real and if so could they have been Dinosaurs. The Events of 9/11 Predicted in a Book? Hidden Secrets of "Many, But One"
It sounds completely unbelievable, and yet... it seems to be true! After a lifetime of inexplicable and often terrifying contacts with the supernatural, Dr. Donald Ryles PhD was spiritually guided to encode seventeen warnings and messages concerning 9-11 in a book that was fully copyrighted 4 years before the events took place! In the pages of this book, "Many, But One" were the flight numbers of the planes used in the attacks numerologically encoded. This book also contains a vivid description of the war that followed and the feelings of the world after these horrible events. In his book Hidden Secrets of "Many, But One", Donald Ryles takes the reader on an unforgettable two-part journey: from the terror-filled youth of the author, spent in a haunted house, through many unexplained paranormal events, to the transmission of the 17 findings in Many, But One. The author explains each finding in detail and demonstrates from a numerologic point of view the uncanny role of the number 11 in the lives of both the author and Osama bin Laden. In 2005 I was once again clairvoyantly prompted. This time what I wrote was not guided through me, but I was more in a sense "told" to write and chronicle my life story, at least the paranormal aspect of it. Few people, including my very close friends and family, know much about my experiences, or at least they aren't aware of the true depth of them. The stories I have written are of course a very condensed version. I have had many, many more unusual events throughout my life, but for the scope of this book, which I feel the primary importance is the messages of "Many, But One", I have included a few of the more extreme cases. 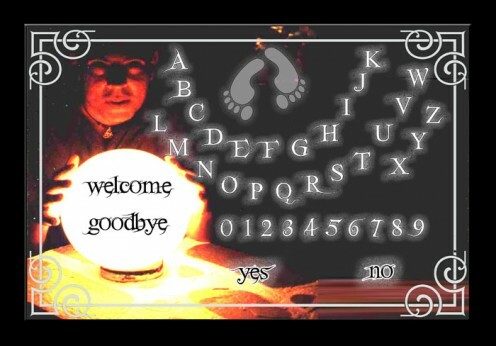 For over 30 years Donald Ryles has been involved with the paranormal sciences. At a very early age he was visited "from the unknown", later he obtained an "alternative PhD in Transpersonal Counseling (Psychology)" and a Masters in Metaphysical Science. He is a certified hypnotist and paranormal investigator. Donald Ryles says he is "very open and humorous", but also secretive about many things. On the other hand Donald is mysterious and secretive about many things. He has a passion for technology, nature, animals, music - from heavy metal to classical - and art, "especially the beautiful and strange". He also loves Gothic style architecture, flea markets and estate sales. A few years ago he found an antique ouija board in a still sealed box... at a church fundraiser! Near Edinburgh is the Collegiate Church of Seton. Here, around 1600, a Dutch sailor, Jacques Huyssen, shipwrecked and was welcomed by one Alexander Seton. A few years later, Seton arrived in the Netherlands, and in front of Huyssen and several other inhabitants of Enkhuizen, turned lead into gold, before doing further demonstrations across Europe. 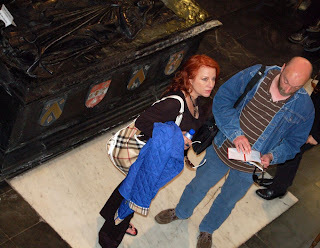 In recent decades, most fame of Scottish noble families has gone to the Sinclairs of Rosslyn Chapel. However, we seem to be imprinting present interest upon past importance, for though important, the Sinclairs at least had to share the fame with two other families, the Douglasses and the Setons. The latter were the true “heirs” of the Knights Templar, at least in the sense that they became the custodians of the Templar properties in Scotland upon the dissolution of the Templar order in 1307. The Setons were also involved in the building of a collegiate church, which can still be visited. In state care since 1948, it is run by Historic Scotland, and is situated on the A198 between Longniddry and Prestonpans. Unfortunately, it is far less popular than Rosslyn Chapel. Approximately six people visit it per day, and there is the occasional day when no visitor turns up. The church is no longer used for worship, though the occasional wedding is still held there. Next door is the privately-owned Seton House, built by Robert Adams in 1790, to replace Seton Palace, demolished in 1789. One theory suggests that the family originally came from Flanders, when they were given land by King Malcolm III. The area was called a Sea-town, hence Seton. However, another theory is that they come from Normandy, from a family de Sei, hence Sei-town, or Seton. The family is, as mentioned, one of the most distinguished. Their house in Seton was an almost required stop and occasional refuge for any passing monarch or important leader. They remained an important family until they suffered the fate of many Jacobites in the early 18th Century. What is virtually unknown is that there is possibly more mystery connected with this family than with the Sinclairs of Rosslyn. After all, the “enigma” of Rosslyn Chapel is completely in the eye of the beholder. Nowhere is there evidence that the builder of Rosslyn Chapel left a message for future mankind that required decoding. The link between the Sinclairs and the Templars is also tenuous. But with the Setons, that link is explicit. So what is this mystery of the Setons? It involves two characters, one Alexander Seton, the other David Seton… the former an alchemist, the latter at the origins of Freemasonry. Hermann Goering was the number two in Nazi Germany. He was an avid collector of (mostly stolen) art. But sometimes he bought art (with stolen money). 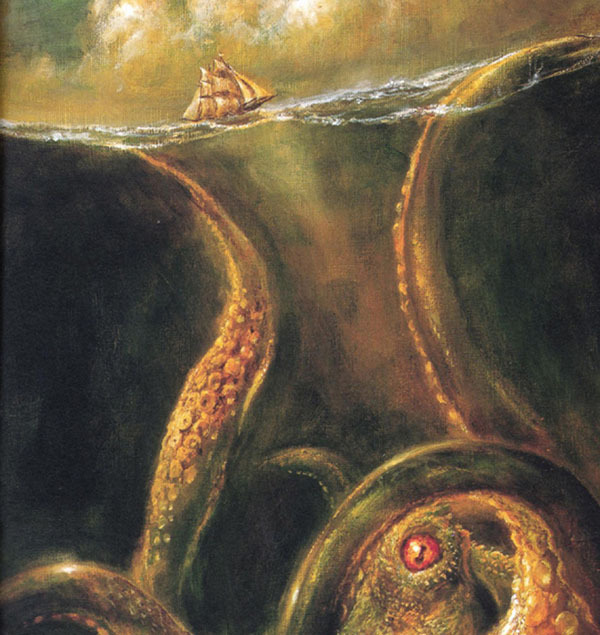 But one of the pictures he bought was so cunningly falsified it almost cost its creator his head. In 1938, Museum Boijmans Van Beunigen revealed a major sensation: They had been able to acquire the newly rediscovered painting Christ And The Disciples In Emmaus by Jan Vermeer (1632 to 1675). Vermeer is one of the best known painters of the Dutch Baroque period; one of his best known paintings is The Girl With A Pearl Earring. Previously, only 37 paintings by Vermeer had been authenticated but with this new discovery that all changed drastically. When Abraham Bredius acknowledged the painting as one of Vermeer’s masterpieces, the name and the fortune of art dealer Han van Meegeren were made. Musem Boijmans Van Beunigen entered into a bidding war with the Rijksmusem and paid the then staggering sum of 540,000 Dutch Guilders for the painting. And Han van Meegeren went in search of more lost masterpieces of Vermeer. The peak of La Danta—one of the world's largest pyramids—pokes through the forest canopy. "All this was abandoned nearly 2,000 years ago," says archaeologist Richard Hansen. "It's like finding Pompeii." Had we been traveling overland, it would have taken two or three days to get from the end of the road at Carmelita to El Mirador: long hours of punishing heat and drenching rain, of mud and mosquitoes, and the possibility that the jungle novice in our party (that would be me, not the biologists turned photographers Christian Ziegler and Claudio Contreras) might step on a lethal fer-de-lance or do some witless city thing to provoke a jaguar or arouse the ire of the army ants inhabiting the last great swath of subtropical rain forest in Mesoamerica. National Geographic's Stormageddon tells us the harsh truth about climate change that the rest of the mainstream media won't. National Geographic’s new episode of Explorer, called Stormageddon, paints a frightening and striking picture of how climate change is destroying civilization, one that is often obfuscated in the (rest of the) mainstream media. Through interviews with climate experts and footage of the devastation wrought upon Russia and Pakistan during 2010, among others, Nat Geo shows how global warming is causing massive droughts, flooding and ice melt. The immediate future looks extremely bleak, according to the experts. But in the mass media, particularly The New York Times, such candor is hard to come about. The Nat Geo episode documents the manner in which Russia was devastated last summer by drought. It was the hottest summer in history, causing wild fires that destroyed tens of thousands of acres of land and roughly 40 percent of the country’s wheat crop, killing 50,000 people and affecting six million lives. The effects are still being felt, as the wheat fiasco has contributed to global food shortages, which has driven up prices and played a significant role in spurring the uprisings in the Middle East. Behind the Keys – Who Was Blind Tom? 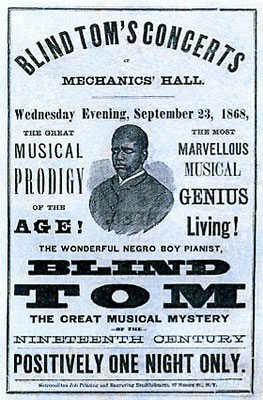 An 1860's advertisement for Blind Tom, describing him as a "musical prodigy" and "the most marvelous musical genius living!" This time in our Behind The Keys series, we’re going to discuss someone you might not have heard of before. Though his music wasn’t really Blues, it was “Blues-ish”, and he is an important, though mostly forgotten, figure in the history of Piano Blues. Blind Tom was one of the 19th century’s most extraordinary performers. A autistic savant with an encyclopedic memory, all-consuming passion for the piano, and mind-boggling capacity to replicate – musically and vocally – any sound he heard, his name was a byword for eccentricity and oddball genius. Blind Tom was born into slavery in Columbus, Georgia in 1848. His master, Wiley Jones, didn’t want to clothe and feed a disabled ‘runt’; he actually wanted him dead and, if not for cries and pleas of his mother, Charity, Tom would not have lived past his infancy. But when Tom was 9 months old, Wiley Jones put the baby, his two older sisters and parents up for auction, intending to sell the family off individually and not as a unit. The chances of anyone buying blind infant were slim, and his death was as good as certain. Tom’s life was again spared, thanks to his mother. Not long before the auction, she begged a neighbor, General James Bethune, to save them from the auction block. At first he refused, but on the day of the sale, for reasons unknown, the newspaperman/lawyer showed up at the slave mart and purchased the family. Except for his blindness, Tom was just like any other baby at first, but very soon after arriving at Bethune Farm, things changed and the toddler began to echo the sounds around him. If a rooster crowed, he would actually make the same noise. If a bird sang, he would follow it, or attack his younger brothers and sisters just to hear them scream. If he was left alone in the cabin, he would drag chairs across the floor or bang pans and pots together – do anything just to make a noise. By the time he was 4, Tom could repeat whole conversations 10 minutes in length, but could only express his own needs in cries and tugs. Unless watched, he would escape: to the chicken coop, woods and finally to the piano inside his master’s house, the sound of each note causing his young body to shake with excitement. After a few of these unwelcome visits, General Bethune finally recognized the stirrings of a young musical prodigy in the raggedy slave child and brought him into the “Big House”, where he was given extensive lessons. By 6 years old, Tom was performing to sold out houses throughout Georgia. His early managers promoted him as a “untutored, natural musician – fully formed from the moment he first touched the piano.” Tom could repeat any composition, no matter how difficult, after a single hearing. With willing participants covered in dirt and surrounded by fire, it is not exactly a conventional religious or spiritual ceremony. But the bizarre scenes are part of a 20-year exorcism tradition led by the mysterious ‘Brother Hermes’, who claims the ritual rids people of evil spirits. The Colombian exorcisms see people dressed entirely in white before lying across a stretch of dirt in between red and yellow marker posts. The 50-year-old spiritual leader, who real name is Hermes Cifuentes, also covers participants with black dirt from head to toe and makes them stand in a deep dirt hole during parts of the ceremony. in the Jerusalem Church, Bruges. Patrick Bernauw is a successful Flemish author, both in fiction and non-fiction. He has specialised in mapping Belgium’s mysteries and has uncovered many hidden facets of famous world events: in this second interview, Patrick tackles Bruges, a city that holds one of the most precious relics of Christianity, the Holy Blood. But it was also seen as the New Jerusalem and thus as the battleground between the forces of good and evil. At the end of the 19th century, the chaplain of the Holy Blood chapel became the central focus of Huijsmans’ infamous novel, La-Bas (The Damned), in which he spoke of Satanic masses and other occult going-ons in Paris. But was it all about Bruges? Lying on the Camino de Santiago pilgrimage the monastery complex of San Juan de la Peña (St. John of the Crag) is one of the most famous in Aragon. The complex, set among a landscape of woodland and cliffs, consists of two sites - a lower, older monastery built under an overhanging cliff and a newer abbey and museum. Legend tells of a noble that while out hunting gave chase to a stag. 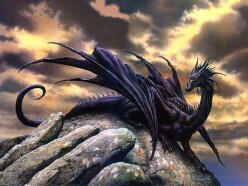 The stag ran over a cliff and the noble’s horse unable to stop in time followed over the edge. Uttering a prayer to John the Baptist, instead of being dashed to death on the rocks below, the noble found himself safely landed beside a cave. Inside he found the remains of a hermit and decided to set up a monastery at the spot to thank the Saint for his escape from death. Evocatively nestled under looming cliffs the buildings of the old monastery use a mixture of stonework and natural rock to form their walls. The Mozarabic chapel - the oldest part of the complex - dates back to 920. A pantheon contains the tombs of early Kings of Aragon, but the real highlight is the 12th century Romanesque cloister. Arches on two sides of the cloister remain intact with exquisitely carved capitals on each column depicting a scene from the bible. After a fire in 1675 ravaged the old building, a new monastery was constructed higher up, above the cliffs. The monastery was abandoned in 1835 with only the church and its grand Baroque facade surviving. Recently, extensive archaeological work has been undertaken on the 17th century building and in 2007 a museum was opened interpreting daily life in San Juan de la Peña. Cleverly designed the museum has a glass floor allowing you to look down onto the archaeological site. Another legend attached to San Juan de la Peña is that of the Holy Grail. The story relates that the Grail was given to a Spanish soldier in Rome during the third century who promptly took it back to his home in Huesca. During the Moorish invasion the Grail found it’s way to San Juan for safe keeping. In 1399 the Aragonese King Martino V took it to his palace in Zaragoza - when the monks asked for it back he tricked them with a replica. When the King of Valencia acceded to the Aragonese throne he took the Grail back to Valencia Cathedral where it has remained until today. The replica Grail at San Juan was destroyed by the fire of 1675 but a replica of the replica is on display in the old monastery. Historians have tested the Grail in Valencia and have discovered that underneath additions in the 9th, 15th and 16th centuries lies a Roman agate cup. The lost Grail of Rennes-le-Chateau. Who has not heard of Abbé Bérenger Saunière, at one time priest in a small hamlet called Rennes-le-Chateau in the foothills of the Pyrenees in the South of France..? BUT... Did all these exposures even graze the truth..? The lost Ark of the Covenant... The Holy Grail... A Merovingian bloodline... The burialplace of Mary Magdalene, perhaps even Jesus' grave..? Secret knowledge or a Freemason's secret..? OR simply a hoard of gold..? The priest of Rennes-le-Chateau: Bérenger Saunière discovered, while restoring his church, some coded documents, in a hollow in a stone support of the altar. After a long and extremely difficult decodation, he came to the conclusion, that two paintings held the key to solve an ancient enigma and retrace an extremely valuable treasure..! Theme of both paintings: "Pas de Tentation" (No Temptation), one made by Nicolas Poussin and the other by David Teniers (the younger). And it seems he struck it rich, as this humble hamlet priest became extremely wealthy..! WHAT is the truth behind these stories, that grew bigger and taller with the passage of time, untill all of a sudden this tendency changed and the Rennes-le-Château-Mystery was presented as a crude fraud. Be it as may, we believe in the original history but, then... How to convert the hidden messages left for the initiated into understandable indications..? We found that flamboyant Saunière was more than a simple country-priest, he was called to execute a "Grand Oeuvre", a "Great Work" (for those who understand these words). His friend and fellow-priest Henri Boudet, who was in fact, the driving force behind this set up, always kept in the shadows. Words and images... as we found out: In his book he gives background information, necessary to understand the hidden meaning of the images in the church of Rennes-le-Château, thus: "Word and Images" form a whole, just like was done with the painting by Nicolas Poussin "Et in Arcadia Ego". The hidden meaning of the Shepherds painting, together with the decoded text from the Bergère phrase (Bergère pas de Tentation...), form a whole as well but this was done already around 1638! Abbé Saunière was acquainted with Emma Calvé (a famous cantatrice in those days), as she regularly visited the neighbouring Spa-town Rennes-les-Bains. And, through her, with Papus, Grandmaster of the secret Order Memphis-Misraïm. This acquaintance proved to be very important... Some rumors say, Emma was his mistress, but we think that is nothing but slander..! His hiding method is comparable with the manner information was dissimulated in the painting of the "Arcadian Shepherds" by Poussin and the mode Abbé Henri Boudet used in his enigmatic book. They all employed the same code: "Secret signs"... Or, in other words, the Symbolic Language, the way of communicating and of recognition so well known in Freemasonry. We found the key to answer some of the questions, like: ...Is the Holy Grail involved... Or the Ark of the Covenant... Maybe the True Teachings of Jesus... What is de role of Secret Brotherhoods..? The Lost Grail of Rennes-le-Château. In our view... The roots of the Rennes-le-Château-enigma, lie in the epoch of the first Crusades, the days of the founding of the Order of the Knights Templar and in some Hebrew bookscrolls found in the Holy Land. We describe the plans of the "Inner Circle of the Knights Templar" to found a "New Temple". Here are 5 stories of unexplained ship and crew disappearances. Mary Celeste is known as 'the greatest maritime mystery of all time' as she didn't disappear, but her crew and passengers did. She was a merchant 'ghost' ship spotted by a Canadian brigantine on December 4, 1872, unmanned, sailing off the Azores in seaworthy condition. Her finders determined she had already been at sea for a month and had over six months' worth of food and water on board. The mysterious part was that her cargo was virtually untouched and the personal belongings of passengers and crew were still in place, including valuables. There are many explanations that attempt to explain what happened. 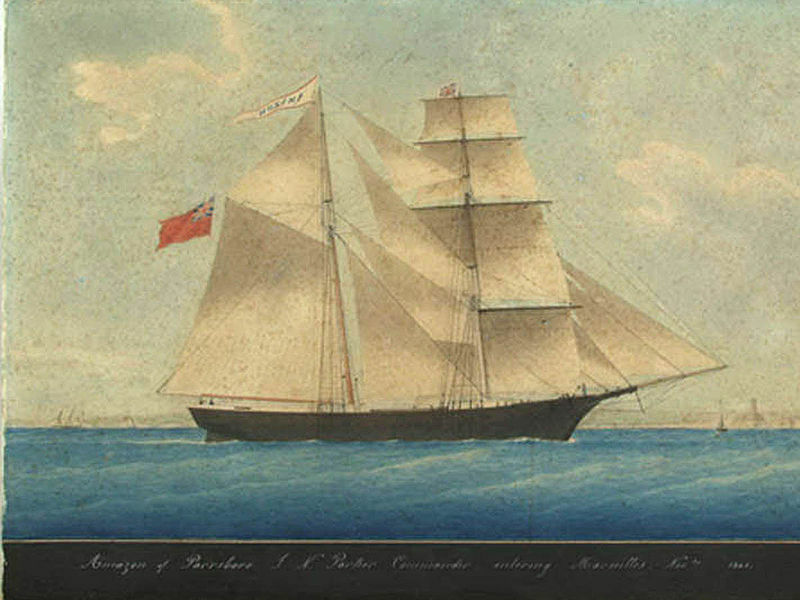 Some have suggested the crew aboard Mary Celeste could have been murdered and thrown overboard by Ottoman pirates, who frequently sailed the area. However, British officials dismissed any suggestion of piracy or foul play as there were no signs of violence. One of the most prevalent and plausible theories to date suggests that the crew perished after embarking on a lifeboat, fearing the ship's cargo may have been about to explode as they were transporting barrels of alcohol. Though state-sponsored terrorism is now a commonly accepted fact for these episodes (though the role of the British government in Northern Ireland remains a hotly debated topic), what is less known is that what kept this international network of “government-employed terrorists” organised was a series of pseudo-chivalric organisations, which conspiracy theorists have largely failed to identify for what they truly are and which the “esoteric crowd” largely has embraced with love. The Mystery of Egyptian Hieroglyphics: How Did The Ancient Egyptians Decode Hieroglyphics? King Ptolemy V (205-180BCE), and it was written twice in Egyptian (in hieroglyphs and demotic) and once in Greek. By enabling linguists to compare the same text in Egyptian and a living tongue, Greek, the “Rosetta Stone” proved to be the key that would unlock the language and through it, the civilization-of ancient Egypt for the modern world. Snofru’s “Bent Pyramid” at Dahshur was probably the first monument planned from the outset as a true pyramid, but his architects changed the gradient of its side part of the way up, probably because the original angle was found to be too unstable. In the end, the first true pyramid was to be Snofru, “Red Pyramid,” again at Dahshur. Every pyramid was topped with a small capstone, or pyramidion, that was often inscribed and gilded to reflect the sun’s dawn rays. To die twice is not a commonplace occurrence. Yet this is what happened to a hero of the boudoir, who was in the revolutionary France at the height of his popularity, and figured in the dreams of all the fine ladies of Marie Antoinette’s Court. His name was Jean François Autié, his alias Leonard, and he was a barber by profession. He was nicknamed “le Marquis Leonard” to distinguish him from his brother, “le Chevalier”, whose office was confined to the cutting of hair. In 1791, his gigantic headdresses, two feet in height, adorned with a collection of accessories and supported by a framework of steel wire, were very much “en vogue’. Leonard gave them ridiculous names, like “valgalas” or “toquets en lubie”, which the ladies thought enchanting. When a woman was of sufficient importance to receive his ministrations, the artist would arrive – always in a hurry – and take a quick look at his client. He would appear to study the figure of the patient for some minutes, and then, as he felt the inspiration come, he would pounce upon the first objects that came to hand: a cabbage, a scarf, a sponge, some apples, a child’s toy boat. The noblest and the most charming heads passed through the hands of Leonard. Every day his fingers gently touched those pink and perfumed necks that were so soon to be torn by the steel triangle of the guillotine. In the days of the Terror this man must have been tortured by horrible visions every evening as he read in the gazettes the account of the executions of the previous day. Visions, for instance, of the horrible basket under the guillotine in which were heaped the long curls, fair and dark, that his own golden comb had so often smoothed. Mesa Verde was abandoned early in the 14th century, probably because there was insufficient water to serve a community that, by now, had grown very better access to water now came to be preferred. Pre- Columbian people, who as yet have not been indentified, began to build an extraordinary example of planned urban development. They called it Teotihuacan (‘Place of the Gods’), it was situated in a fertile offshoot of the Valley of Mexico, north-east of modern Mexico City, In the fifth century AD, when Teotihuacan was at its height, most of the it built along in impressive causeway, lying north to south, it was the greatest city and Meso-America. Nazis: The Occult Conspiracy is a documentary on how Adolph Hitler and the Nazi regime made use of ancient mysticism and occultism to win the war. The Nazi's also used occult mind control techniques to brainwash Germans to perceive themselves as the master-race. Astrology, Reincarnation, a new blood religion. In this chilling yet fascinating glimpse at recent historical events, discover how Nazi beliefs were based on a perversion of ancient myths, pagan lore and the occult. In their quest to create an Aryan super race, the Nazis left no myth or religion unexploited, using astrological forecasts to plan battles; pendulums to locate allied battleships; the prophesies of Nostradamus to frighten the Allies, and sacred symbols, such as Nordic runes, to inspire their warriors to battle. Nazis: The Occult Conspiracy explores the disturbing ways the Third Reich linked occult practices with political aims and created a reign of terror unparalleled in history. Nazis: The Occult Conspiracy, directed by Tracy Atkinson and Joan Baran, narrated by Malcolm McDowell, is an English language 1998 Discovery Channel documentary regarding Nazi occultism. For as long as memory serves, the strange, the mysterious, the enigmatic has attracted my attention and excited my imagination. From my earliest days as a child, I found myself naturally gravitating toward the unexplained, the unusual; you know those unique bits of reality that conventional science just never could pin down. Of course, most of those “conventional” type scientists don’t even try to explain this kind of stuff, except to deny its existence, or to pigeonhole it as fringe or pseudo without even really looking into any of the supportive data. As they would put it; it was swamp gas reflecting off of the planet Venus, accentuated by the distant lighthouse shining through the fog. Never mind that at the time our hypothetical “incident” took place, Venus had not yet risen into the sky, and it was a clear night in a decidedly non-swamp environment. What they fail to see is that if they bothered to actually examine the data on these subjects, they’d find there is considerable tangible evidence in every one of these cases.